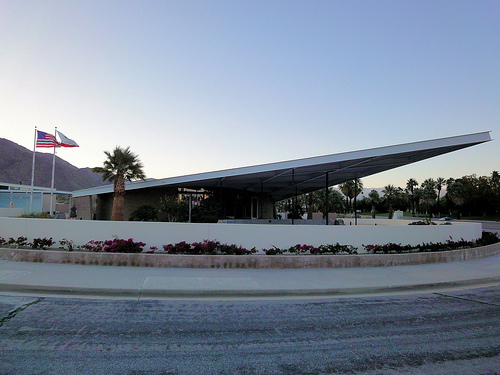 Given that Palm Springs is a destination for sun-soaked desert modernism, it’s surprising to learn that a number of structures by the area’s best-known architects are not protected. That changed earlier this month when the California State Historical Resources Commission voted to nominate ten buildings by Albert Frey, including Palm Springs City Hall and the iconic Frey House II, as well as the Town & Country Center in Palm Springs designed by Paul R. Williams and A. Quincy Jones for the National Register of Historic Places. The vote was a milestone in preservation efforts in Palm Springs, a city that’s recently seen parts of its architectural history bulldozed for new developments. Recently midcentury modern Spa Resort Casino complex, noted for its concrete-vaulted entry colonnade and designed by William Cody, Donald Wexler, Richard Harrison, and Phillip Koenig, was demolished in the face of preservationist opposition. 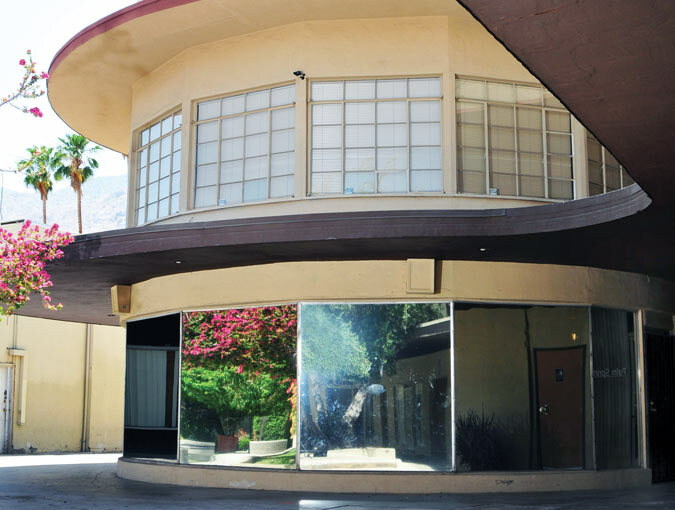 The Desert Sun reported that the National Register placements are moving forward despite opposition by two owners: The Mount San Jacinto Winter Park Authority, which oversees Frey’s Palm Springs Aerial Tramway, and Town & Country Center owners Wessman Development. The Tramway owners cite potential development restrictions down the line as their challenge to the nomination. 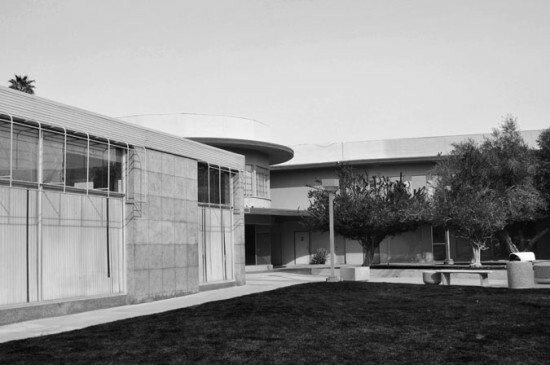 John Wessman’s objections stem from a larger architectural and urban issue: the redevelopment of central Palm Springs and the fact that the Palm Springs City Council city rejected a Historic Site Preservation Board recommendation to list the Town & Country Center as a Class I Historic Site. Town & Country Center at mid century.